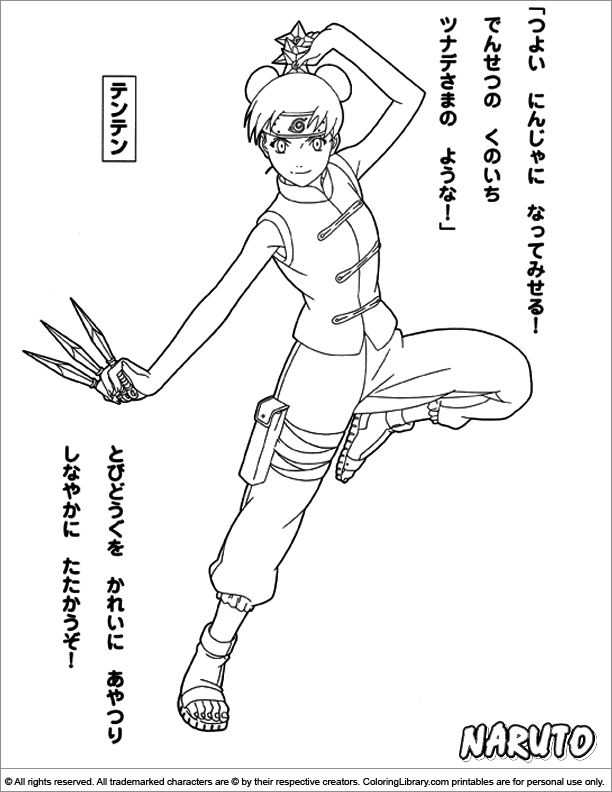 An entertaining Naruto coloring page for kids you can print. Coloring pictures will bring out the creativity and relaxation in your kids. Print out as many Naruto coloring pages as you like. Treasure your kids coloring creations and make a personalized coloring book in a binder. You can find many other coloring pages in the library.